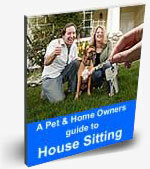 I have been pet-sitting for over 10 years and house-sitting for 5. I used to work as a veterinary technician. Animals are my passion as well as traveling. I enjoy staying and watching other peoples houses. It's like a vacation for me as well! Government worker in the SF BAY AREA. Looking to baby sit home while your away, minimum 6 mounths. Can maintain home and yard while your away. All my kids are grown now My way to make sure they dont come back and live with me. I'm the man in the middle with a couple of my ex football players. I am very outgoing and trust worthy, and I love to travel and try new things! I am college student studying biomedical sciences and music education. I am an avid sled dog racer and own/care for 6 dogs of my own. Ive owned dogs, cats, fish, rabbits, guinea pigs, and chickens. I have vast knowledge of all animal care. Retired educators; taken care of homes/pets in Massachusetts, France, UK; scheduled for Canada; homeowners-experienced w/ household emergencies & maintenance; know the importance of feeling confident of whomever cares for your home; nondrinkers, nonsmokers; walkers, readers, community volunteers. I am an intelligent, kind and honest woman. Married, educated, non smokers/drinkers, experienced, military couple available to house-sit for a short period of time (at this time up to three months). I am a 54 yr old dad. I've run several successful businesses and am presently a business owner and homeowner. I manage real estate for myself and others. I love caring for children, animals, elders and gardens. I'm seeking a long-term house sitting arrangement in the San Jose area. I am a mature Christian woman with excellent personal assistant skills, highly organized and detail oriented. I can care for your home or manage an estate. I am very flexible and can be available for long or short term assignments. My name is Sanjini and I am honest, reliable, very clean and tidy, organized and a non smoker/no drugs. I can provide references as I have experience house sitting in many places. I am a 48 year old female with great attention to details and respect for other peoples property. I am very experienced with the care of cats and dogs and have done so for over 20 years. Active retired english couple. Honest and reliable. US residents. Non smokers. Preferred sit locations: santa monica, west los angeles and surrounding areas.